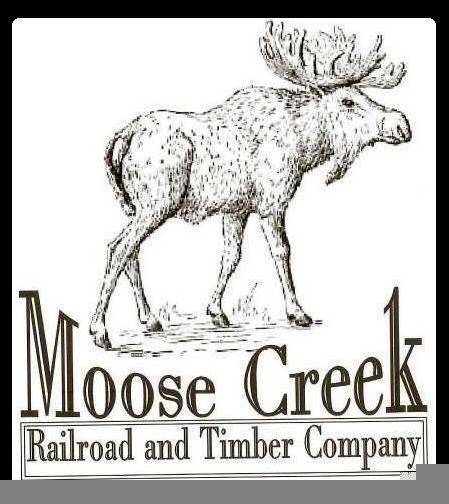 The Moose Creek Railway & Timber Co. is a portable On30 logging layout. We have no standards. We cut two endpanels at a time, one for the section we are working on and one for the section that will attach to it in the future. All of the track is handlaid code 83 rail. We use no templates or guides to install the ties, we just put them down by eye, just like the real timber company's did. 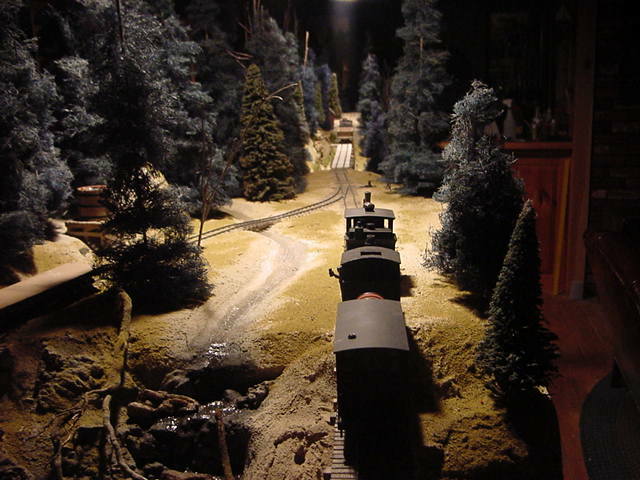 When completed, the MCR&T will be an eight foot by twenty-four foot horse shoe shaped layout consisting of 8 five foot by 22'' sections, two 4' X 4' corners. All sections are extremely lite weight. 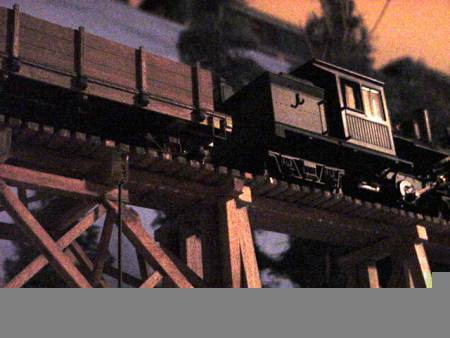 The layout is about 50% complete.